You may think that getting pre-approved for a mortgage is a sure-fire thing. Not so fast. Canadian lending institutions will gladly sit down with you and crunch some numbers. They will come up with some figures (if you qualify), but it’s best that you just use those pre-qualifying numbers as a guideline. Not all pre-approvals are the same. You would think that all lenders would review your qualifications, but that’s not always the case. Less stringent banks are only guaranteeing an interest rate, but they’ll fully approve you (or send you packing) later. The last thing you’ll want to have happen is to be told you don’t qualify for a mortgage after you’ve been “pre-approved.” It’s better to get the entire picture before going house-hunting needlessly. So, make sure you’re going with a lender that really checks your financials before offering you a pre-approval. They’re only general guidelines. A mortgage advisor can pre-qualify you, that’s true, but it’s only the lender that will confirm all the necessary things that actually secure you a mortgage like your income, your down payment and your credit and debt ratios, along with other pertinent information. It’s their full approval you’re after, so make sure your financial history is solid. Appraisals. You don’t need to have a property appraisal for a pre-qualification, but you will need one to ultimately secure a mortgage. It’s rather a catch-22 situation since you likely haven’t yet found a home. But if you do and an appraiser finds that the property is not up to speed or that you paid too much for it, that can nullify your pre-approval. Watch your steps after being pre-approved. 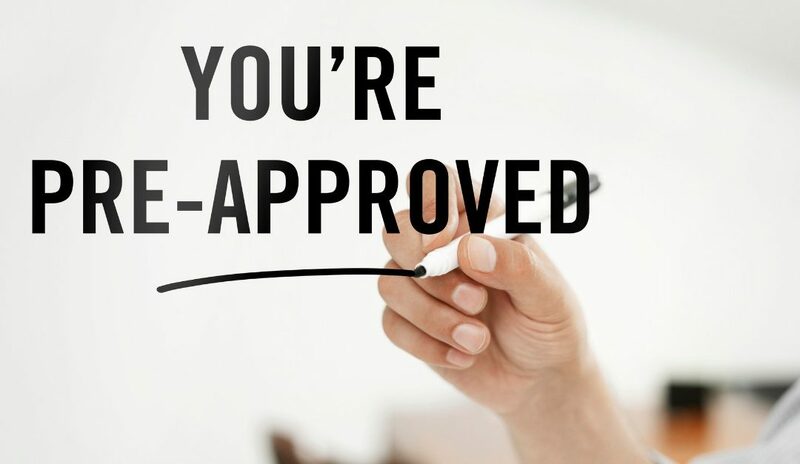 Remember, a pre-approval is a guideline, so it’s not carved in stone. If you go out and buy a new car afterward, you may have just lost yourself a home. Be frugal with the credit cards, too. Try to keep everything stable in your life that has a financial component to it, and that includes your job.